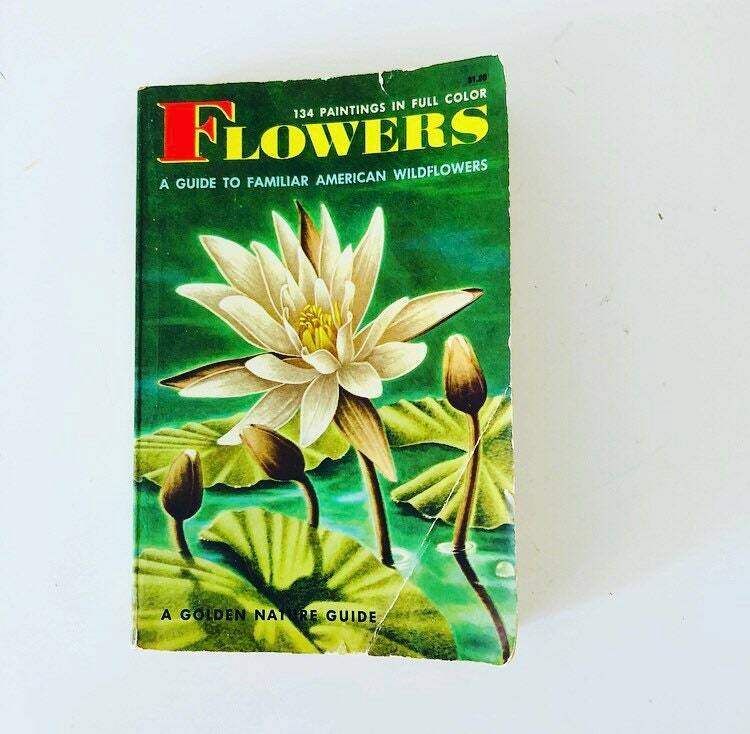 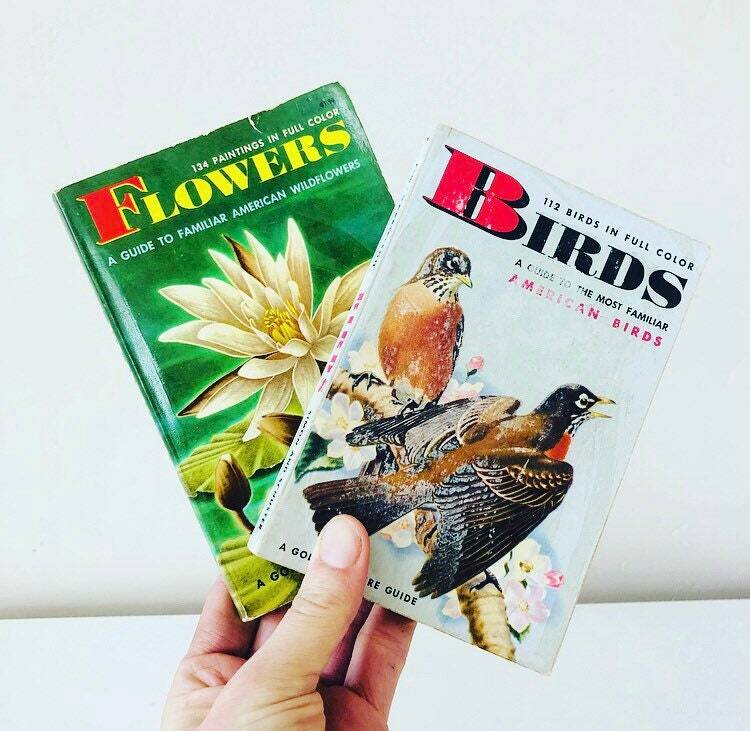 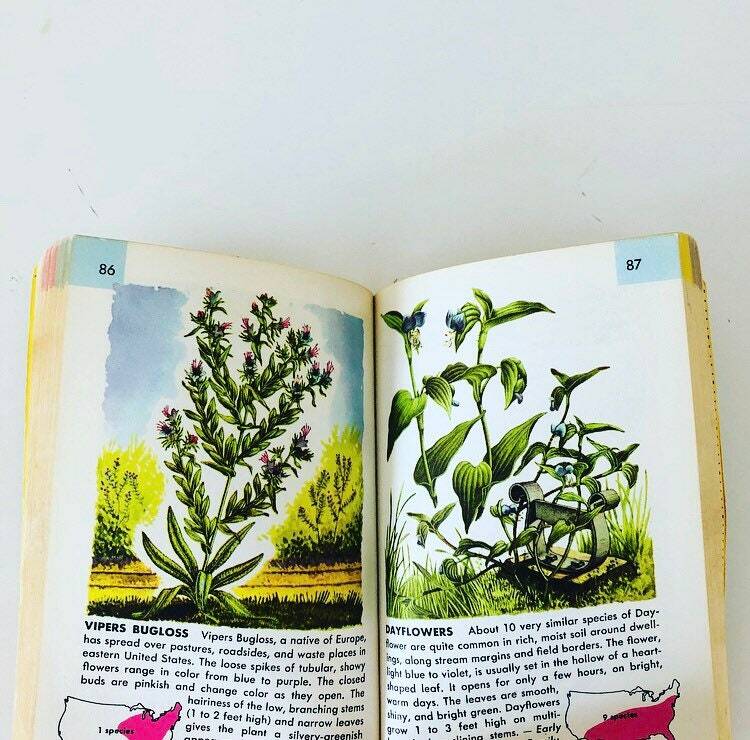 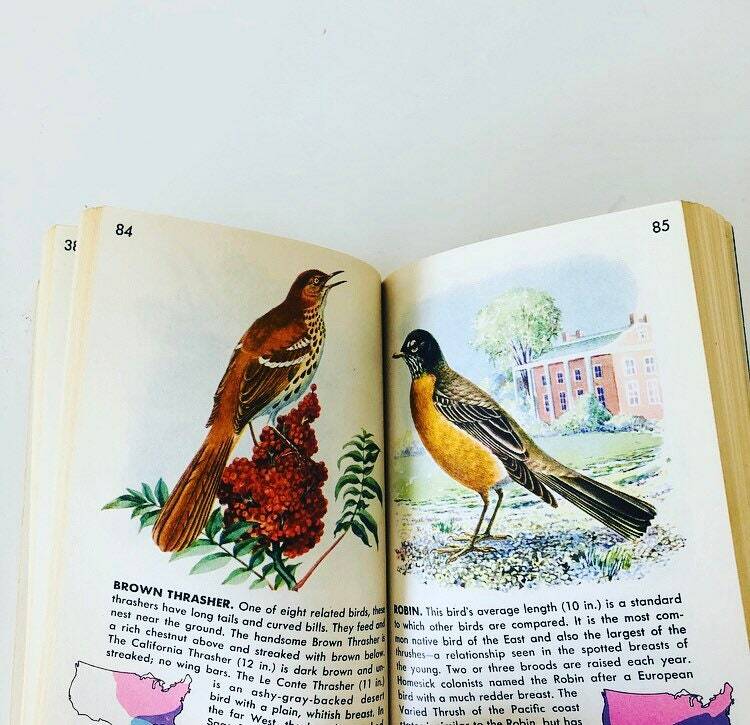 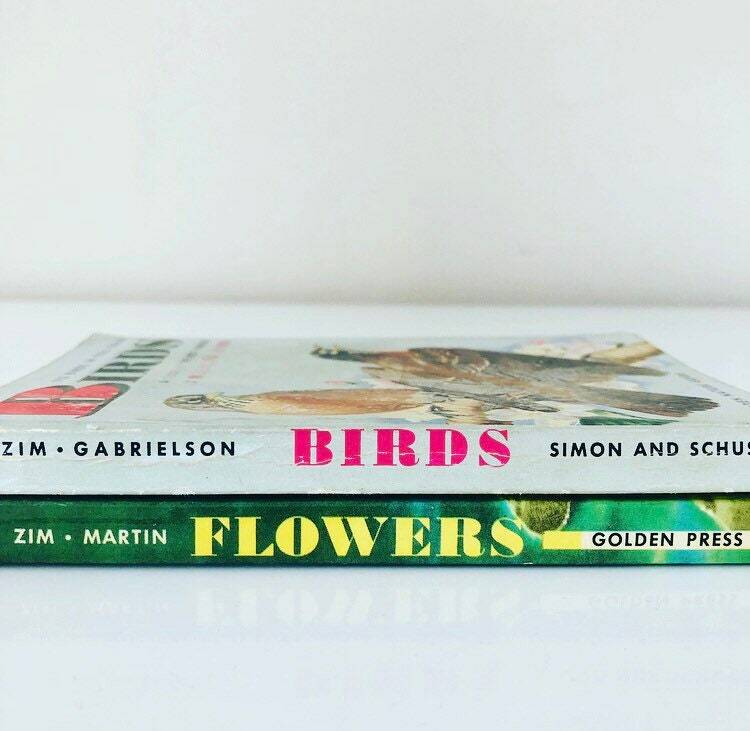 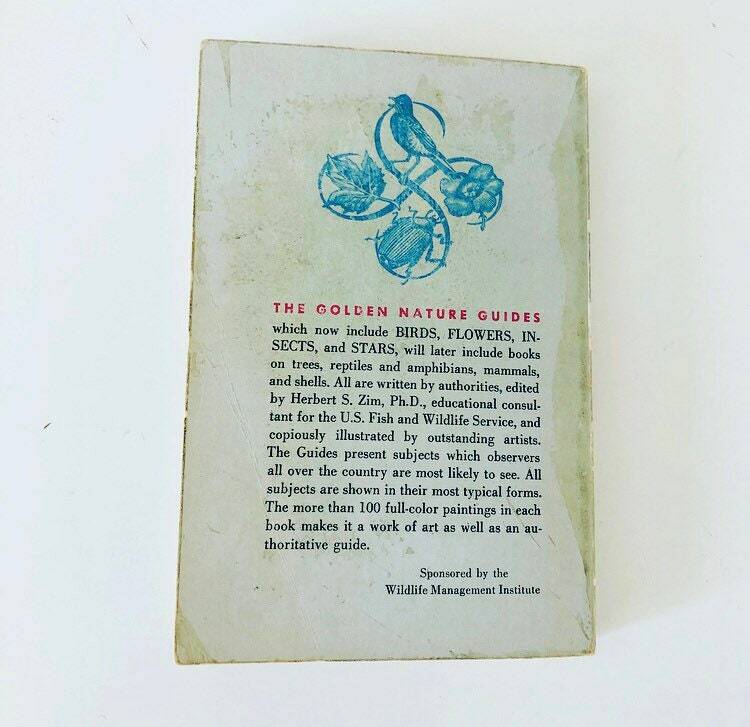 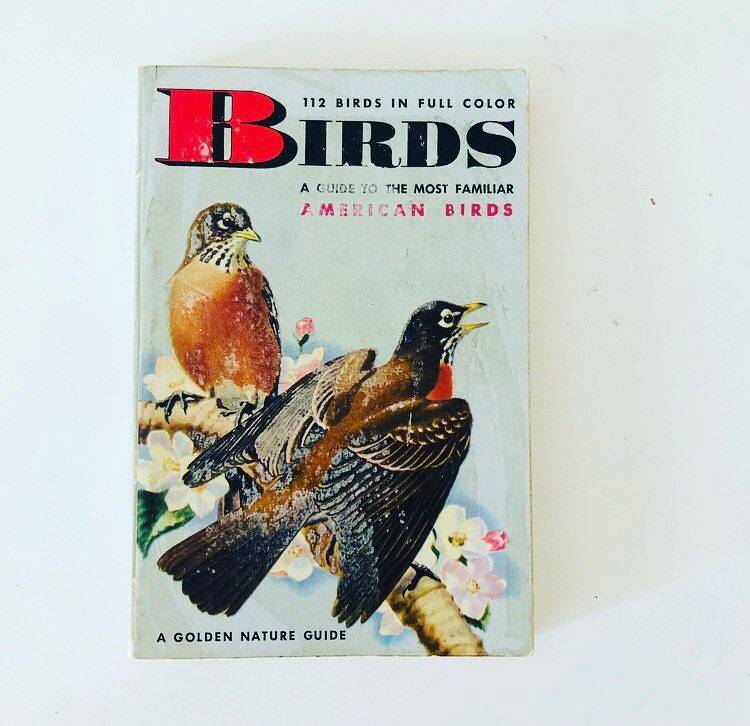 Set of (2) vintage GOLDEN NATURE GUIDE reference book on BIRDS + FLOWERS of America. 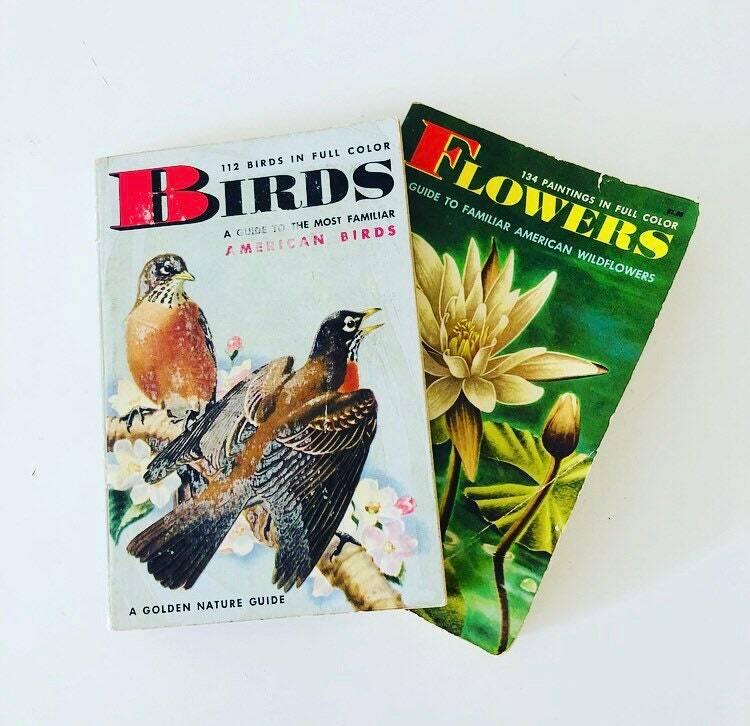 ➕MEASUREMENTS: each are 4" x 6"
➕Great vintage condition. 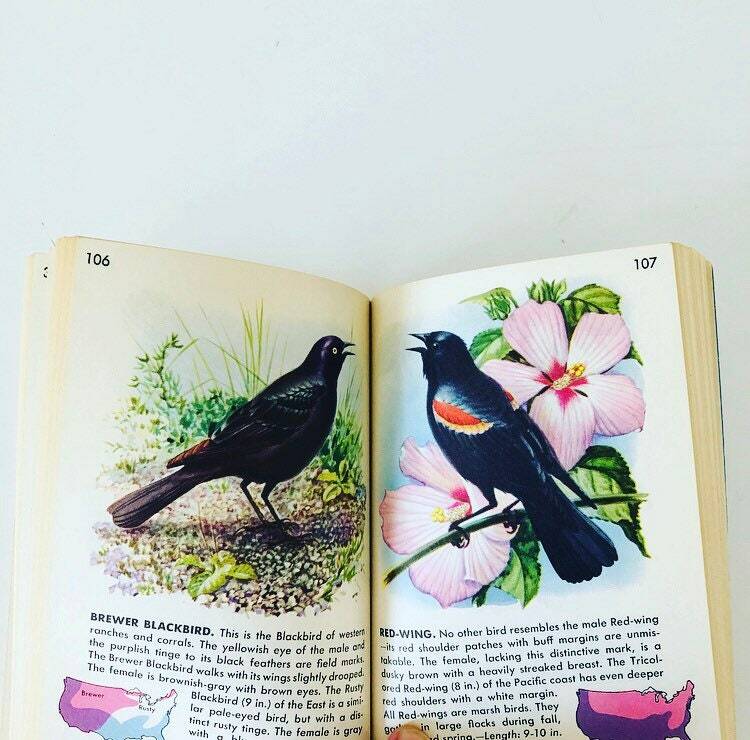 No pages are torn or missing. 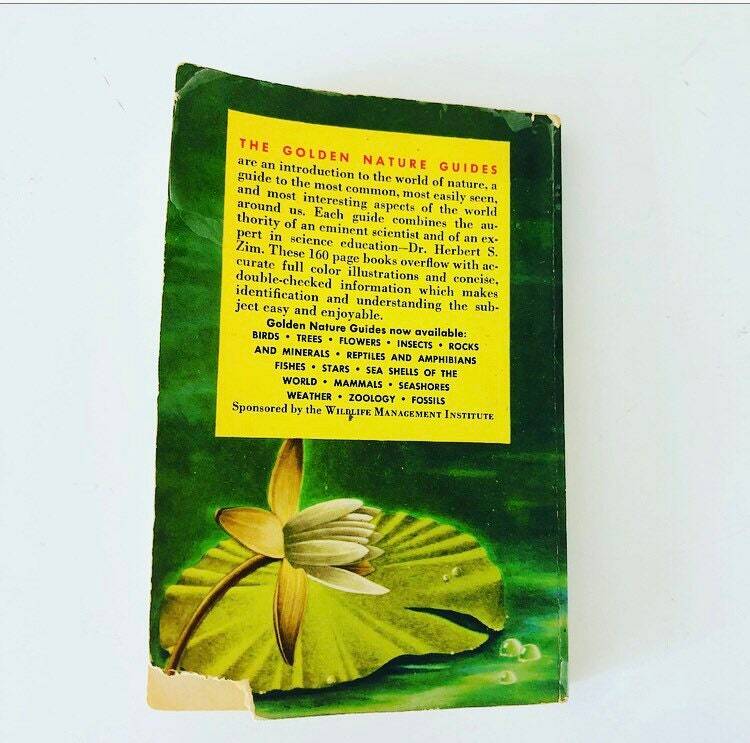 Back cover of FLOWERS book has bottom left corner missing (see pics).